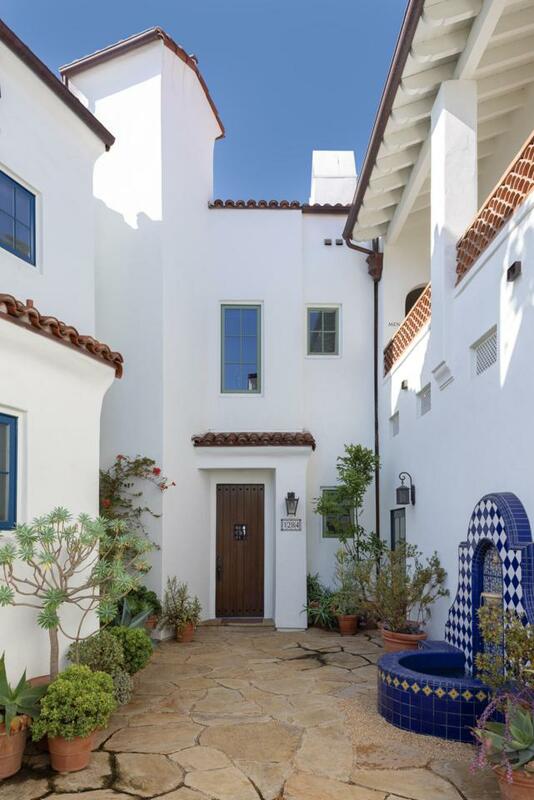 This idyllic Montecito Mediterranean Villa is convenient to all that Coast Village Road has to offer, located next to The Honor Bar, Jeannine's, Lucky's and other fine dining and shopping. Made for entertainment, the roof top patio features a comfortable seating area around the fireplace with mountain and ocean views. Light and bright, the interior spaces include: a large kitchen with updated appliances; island; and open to the living and dining areas. The master bedroom features dual walk-in closets. There is an elevator to all three levels. Nearly new, this perfectly situated home makes every day in Montecito paradise.